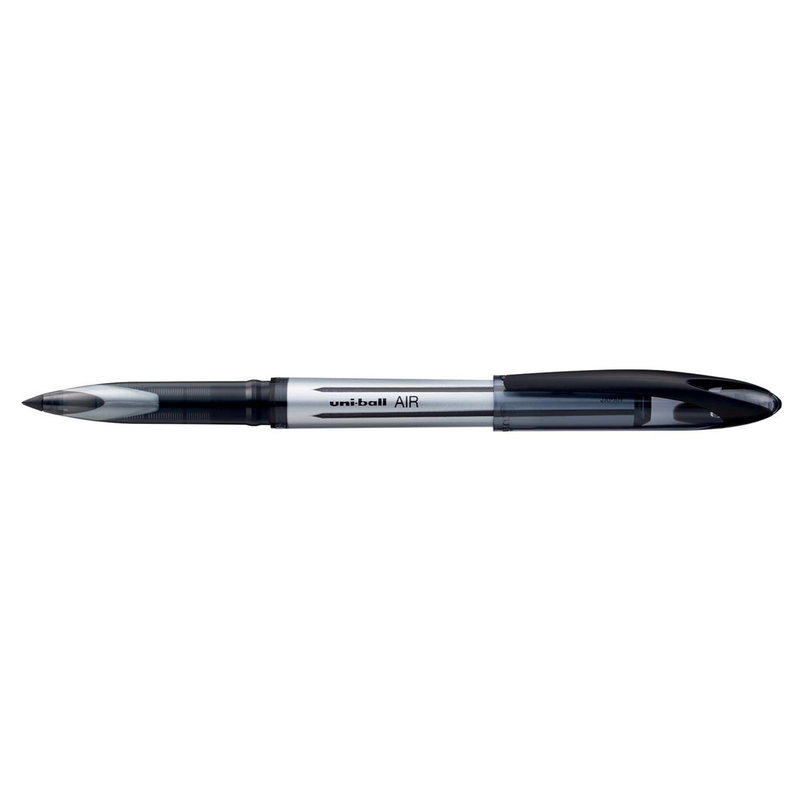 The uni-ball Air pen gives you the freedom of a fountain pen with the security of a roller – no leaks here. 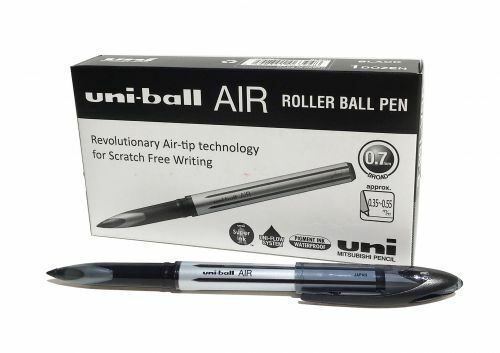 Unlike other rollerballs, the Airs metal ball is held in a plastic surround, allowing the ball to move and meaning less friction when the pen is held at an angle. 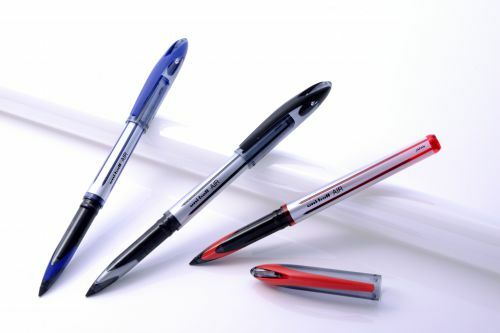 Light pressure will give a finer line as ink is transferred by the ball itself, whilst firmer pressure allows the ink to flow freely around the ball for a thicker line. 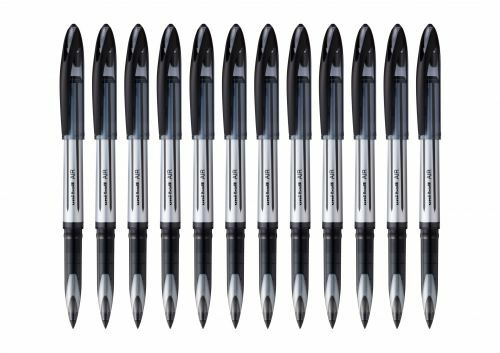 The Air also contains uni-balls famous Super Ink which is fade and water resistant and tamper proof.